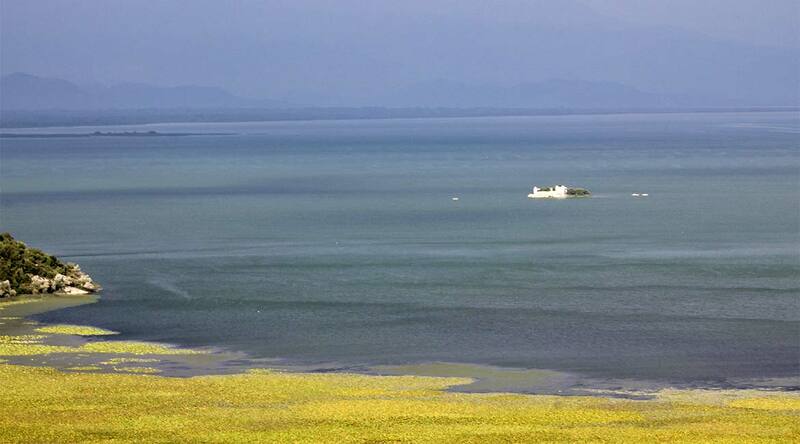 In the coastal zone of the Skadarsko Jezero close to the Godinje village, lies the island Grmozur. In 1847 there was built a fortification complex area of 430m2 on it, irregular elongated shape, with two entrances. On the western side of the fortress dominates the guard tower. At the time of Prince Nikola Petrovic, the building was converted into a prison for serious and offenders at start, later it become more used for political prisoners. The island prison was know to be almost impossible to escape of. And tales tell that most prisoners were known to be non-swimmers. With that there were constant patrolling guard boats who had to make it more difficult for any attempt’s of the prisoners to seize the coast. That’s why the island got nicknamed the “Montenegrin Alcatraz”. In a strong earthquake, which hit Montenegro, and especially the area of the Skadarsko Jezero in 1905, the fortress Grmozur was significantly damaged and has not been renewed to this day and the only left overs are the bewildered ruin’s and inhabited by the many bird species of the lake.